Club Meetings are held at 7.00 - 9.00 PM at the Community Centre, 80 John Street on the second and fourth Tuesday of each month from February to November. Come to the rear of the building, and head upstairs to Room B. Meetings are either "Show and Tell" where images taken by members are shared with the group, or "Practical" sessions where hands on activities to use your own equipment and use the support of other members if required. Weekend outings may also be offered. Established in 2012, the Keppel Coast Camera Club offers development of members who are new to photography, new to their equipment or new to the area. Confident photographers are also welcome, as there is ample opportunity to share experience and expertise. and is auspiced by Keppel Coast Arts. Meetings are held at the Community Centre, 80 John Street, Yeppoon. Keppel Coast Camera Club (KCCC) is auspiced by Keppel Coast Arts. To join KCCC, first join the Keppel Coast Arts. A Keppel Arts Council Membership Form is available from their website. Go to the website http://www.keppelcoastarts.org.au and click on "Join KCA" button, right hand side of the home page. Individual membership fees are $16.50 for Individual Members, and $27.50 for Family Members. You can join in any month. Renewals will fall due in the same month of the following year. Membership of Keppel Coast Camera Club then costs $20.00 per person. Payment for each year is due in February or March. 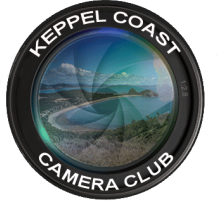 Keppel Coast Camera Club, c/- Community Centre, 80 John Street, YEPPOON QLD 4703.